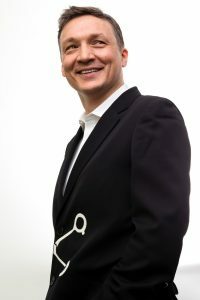 Dr Aleks Krotoski is an award-winning broadcaster, journalist and academic, who has been studying and writing about technology and interactivity since 1999. She has a PhD in the social psychology of relationships in online communities, and is the host of The Guardian’s Tech Weekly podcast, and BBC’s series Digital Human. Aleks holds fellowships at University of Oxford, and the London School of Economics. 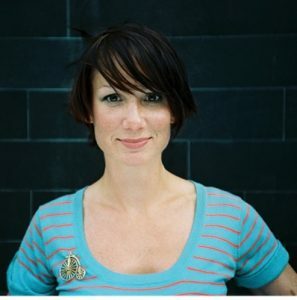 For the BBC and Channel 4, she has topped the ratings, won Emmy, BAFTA, Radio Academy, and Royal Society awards, and written and presented the landmark technology and social-science series for both radio – with BBC Radio 4’s The Digital Human (now in its second series) – and international television – with BBC World’s The Virtual Revolution. For The Guardian, she has consistently led the iTunes charts with the Tech Weekly podcast (2007-2015), pioneered environmental and business reporting with The Biggest Story In The World (2015), and taken her hit weekly column from newspaper to acclaimed book (Guardian Faber, 2013). Her forthcoming video series for The Guardian, “Silent Circle”, is in production in 5 countries. Abstract: Social psychologist Aleks Krotoski is not an expert on computer-human interfaces. But she is an expert on other things. In this interactive talk, she shares what baking, beach volleyball, parenting and radio storytelling have taught her about how we interact with each other, ourselves and the world around us – and what this tells us about the possibilities for future social, digital humans. Dr Ivan Poupyrev is award-winning technology leader, scientist and designer working at the cutting edge of interactive technologies. Over the last 20 years he has been leading the invention, development and productization of breakthrough technologies that span a variety of fields such as VR and AR, haptic interaction, wearables and smart garments, 3D printing and novel manufacturing techniques among many others. Ivan is currently Director of Engineering in Google’s Advanced Technology and Projects division where he leads a team focused on inventing and developing interaction technologies and products for future digital lifestyle. Prior to Google he was Principal Research Scientist at Walt Disney Research and at Sony Corporate Research laboratories. Abstract: The digital revolution has changed every aspect of our lives, the very essence of how we live, work and play. Instead of creating an alternative cyber space parallel to our reality as it was often envisioned by techno prophets, the opposite is happening: information is no longer confined to the pixels on our screens. The entire physical world — even living and breathing matter — is being infused with data, demanding new, unprecedented forms of interactivity. In this talk, Ivan Poupyrev will discuss his explorations of the present and the future where technology, connectivity and intelligence are woven into the very fabric of our lives. The vision of the world as an interface where everything is connected and interactive will be discussed through a lens of projects that cover over 20 years of research and that spans a variety of fields from augmented and virtual reality, haptics and touch interfaces, to novel sensors and manufacturing techniques. The talk will present his most recent explorations in creating a pico-radar sensor for touchless gesture interaction (Project Soli), and designing a platform for manufacturing interactive, connected soft goods at scale (Project Jacquard).